is the newest case in the Porter Case line. We have combined the Divider Case with the Computercase. It is a fully lined case. 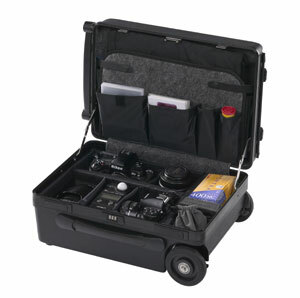 In the lid, it features a three section briefcase style accordion portfolio lid with pockets and pouches for discs, filters, pens, etc. 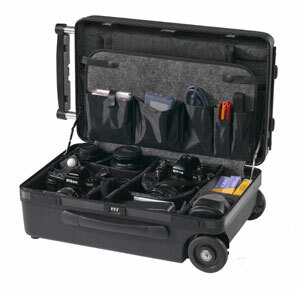 We have designed the new Porter Divider Case with all of the patented external features of our Standard Porter Case. The Divider Case was made with the professional photographer in mind. 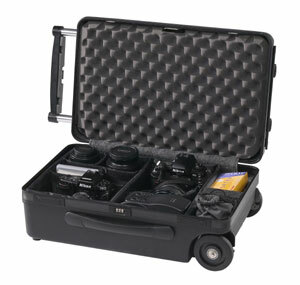 Cases come with a three-year limited warranty against materials or labor defects. Should a problem occur, please call porter case's toll-free number 800-356-8348 and describe your problem. After they know your information/details like the model, serial number, your name, telephone number, and shipping address, they will give you an RA# that you need to put on the outside of your return box. This will tell them who you are and what the problem is when they receive the case. They will evaluate your case, and if there are repair issue they will contact you at that time. Porter's policy is that they try to repair and return warranty cases within two working days of receipt. Naturally this warranty covers normal wear and not abuse or misuse. 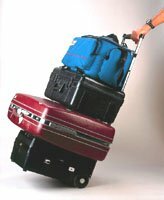 Should damage occur as the result of common carrier handling, you must make a claim with that carrier. Porter asks that you box and ship your case to them. When necessary repairs are completed, they will return it UPS ground at our expense. Warranty and Repair returns require an RA#. No exceptions.